BEIRUT, June 11 (ChinaMil) -- All the 70 peacekeepers in the 17th Chinese multifunctional engineer peacekeeping detachment to Lebanon obtained certifications of mine clearing and explosive ordnance disposal on June 6 after passing the examinations organized by the United Nations Mine Action Service (UNMAS),setting a new record for passing the two certification examinations in the shortest time. Upon arrival at the mission area on May 26, members of the 17th Chinese multifunctional engineer peacekeeping detachment to Lebanon have actively carried out tasks including engineering construction and humanitarian aid. However, according to the UN stipulations, peacekeeping minesweepers should pass the UNMAS's certification before entering minefields to conduct highly hazardous mine clearing operations. Just 10 days later, on June 4,the 70 Chinese peacekeeping minesweepers started to sit for a comprehensive examination chaired by three examiners from the UNMAS. The examination venue was arranged identically to a real mine field. The examiners randomly set complicated situations such as trick mines and unexploded ordance, and randomly asked the peacekeepers questions about the regulations related to a specific operating procedure and how to deal with emergencies. At the end of the examination, director of the UNMAS spoke highly of the Chinese peacekeeping minesweepers. 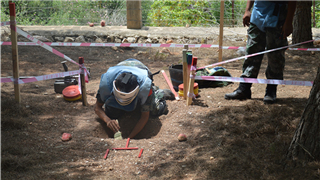 Passing the certification examinations means the formal beginning of the demining mission. 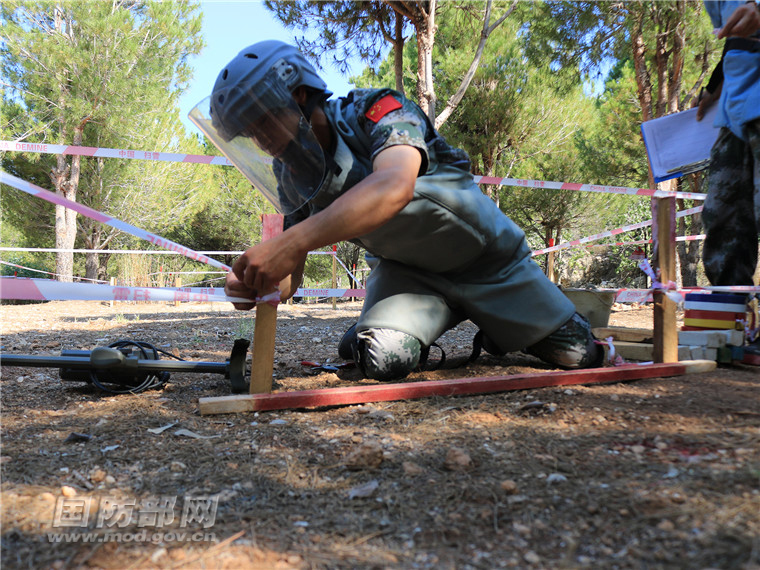 The 70 Chinese peacekeeping minesweepers will head to the border area between Lebanon and Israel rencently to perform the one-year mine and explosive clearing task. 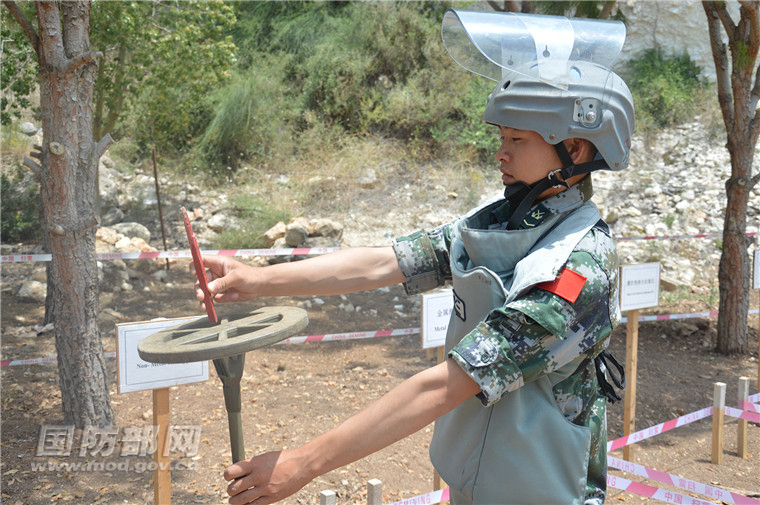 Since China sent the first batch of peacekeepers to Lebanon upon the UN's invitation in April 2006, Chinese peacekeeping forces have discovered and cleared tens of thousands of mines and other unexploded ordnance, and set four mine clearing records of highest speed, best quality, lowest cost and minimal casualty rate.